I thought it would be fun to share a few updates on Maddyn and Londyn and a few of my favorite baby essentials for the month! I'm still so shocked that she will be 4 months next week! The past few months have just flown by! Londyn absolutely adores her sister, and I love the bond they share already. Some of Maddyn's firsts this month were laughing (she thinks her sister is hilarious), lots and lots of smiles, 12 full hours of sleep a night (fingers crossed that stays that way), and she can turn herself halfway over. 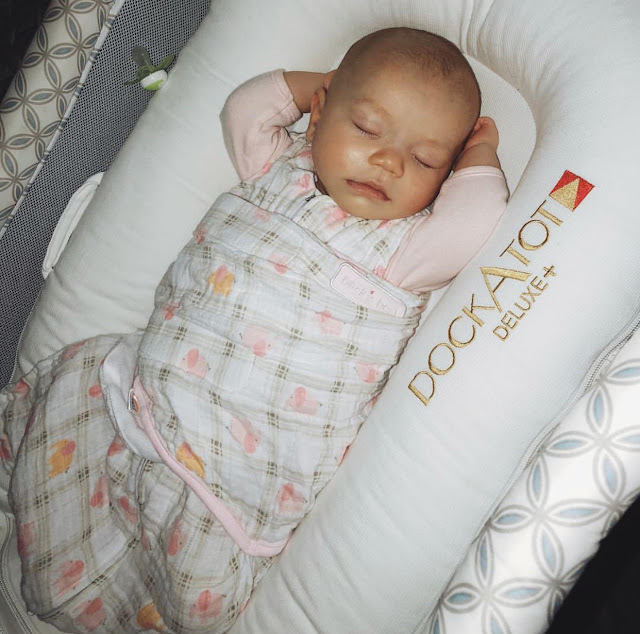 As for our favorites this month, we still love the dockatot and I think that has helped with her sleeping 12 hours a night. She still sleeps in our room in her bassinet (we have this one and I highly recommend it), and I don't think I'm ready for her to move to her room for a few more months. This month, she's been struggling a lot with eczema. I feel so bad for her because it's all over her scalp, behind her knees and a little on her arms and trunk. I started using the Aveeno eczema line, and it has really started to help. I also bought some coconut oil and about once or twice a week, I will massage it on her scalp, let it sit for about 15-20 minutes and wash it off in her bath. Let me tell you if your baby has cradle cap or eczema on the scalp, coconut oil helped clear it up about 99% after just one use! Definitely, give it a try if you haven't. Even if they don't, it makes their scalp just so soft. This is the Aveeno line I've been using. I use this one every morning and as needed during the day. And this in her bath when it flares up really bad. Shortly after she was born, some issues came up with me getting mastitis twice and her not nursing very well which led to her not gaining the weight she needed to. With the recommendation of her pediatrician, I was exclusively pumping to ensure she was getting the amount of milk she needed a day. I was kindly sent some bottles and pacifiers from Chicco while I was still pregnant and if you are a mom who is breastfeeding and bottle feeding especially, I HIGHLY recommend their Natural Fit Bottle Line. They mimic breastfeeding and helps transition from breast to bottle. or watch this video to learn more about the line. They also have a NaturalFit line of pacifiers that Maddyn loved as well. You can check out that line here. I'm still on the search for that favorite diaper bag, so if you have any recommendations please let me know! I want one that can be a backpack but with lots of room on the inside. I currently have this one but would like something with a little more room on the inside. I hope you all have a very Happy Thanksgiving week and don't forget, I do have a giveaway going on right now! 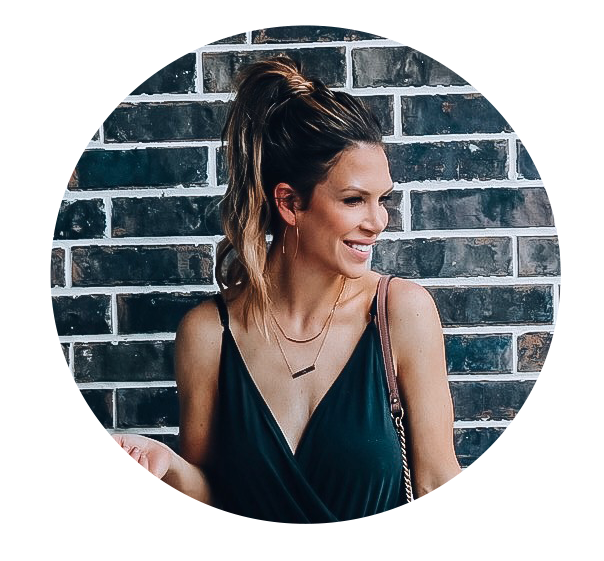 Myself and a few of my favorite bloggers are giving away $500 paypal cash (each) to 2 lucky winners!